In the area of sports science, fatigue is a very complex and important topic. It is tough to discuss fatigue without first defining the principle of overload. I will first explain the principle of overload and then we will take a look at some major contributors to fatigue for hockey players and how hockey players can manage fatigue. Overload is a principle of programming in the strength and conditioning world and is one of the most deeply rooted principles within the scientific literature — we need to use it wisely in order to get the results we want in the gym. Overload is essentially performing a task within a given threshold to create a stimulus of adaptation. This task must be in some way, shape, or form a more difficult task than you have been been exposed to in the past or else it will not present an overload to the muscle or systems involved to force adaptation (change/progress). For example if you bench press 300lbs x 8 this week and come in the following week and perform 305lbs x 8 — you have technically created an overload (by performing more this week than last) which would then create a stimulus in the body to adapt accordingly, in this case build more lean muscle tissue. But whether or not that overload stimulus will create positive adaptation in the gym depends on your current level of fitness and the adaptations you are chasing. For example, let’s say you are capable of bench pressing 400lbs. But next week you decide to bench 100lbs x 1, then the week after that bench 105lbs x 1, and the week after that bench 110lbs x 1. Technically you are progressively increasing the weight each week, but are you overloading the muscles to a point where you are making creating a stimulus that forces new progress? If you’re a 400lbs bencher you can handle those loads with no problem whatsoever. A certain threshold must be hit in order for overload to be accomplished and adaptations to occur. Now, the principle of overload could honestly have its own blog all together with me breaking down how to create an overload stimulus for power, strength, hypertrophy, endurance and all of the sub categories that go into those qualities while also describing the inter/outer cell signalling cascade that is the actual stimulus in and of itself weightlifting creates that’s telling the body to make the changes. 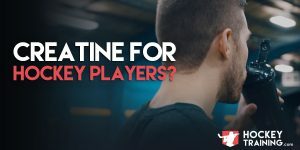 Basically, a breakdown of how to chase after a specific physical quality you are lacking. But to tackle overload and fatigue in one shot in their entirety would be far too much for one sitting. And all of the ways to manipulate these potential sources and the periodization of these sources of overload in a training program designed to develop hypertrophy for continual progress. Now getting back to fatigue and why I first quickly defined the principle of overload. If your hockey training program is not creating accumulated fatigue over a time period of 3-6 weeks, you’re not placing an adequate overload stimulus and without proper overload you’re never going to make progress. Because you’re not challenging your body enough week-in and week-out to force adaptation. A measurable overload must be in place at all times. But this overload takes a toll on the body, and that toll is accumulated fatigue. But if you manage this fatigue properly, all is well and progress is made. Now on the other side, if you place an adequate form of overload on your body and yet fail to manage fatigue — you will eventually hit a plateau and run into over-training. You can think of this like spinning your tires in the mud. You’re still going to the gym and burning fuel, but getting absolutely nowhere. Overload in training creates the stimulus, fatigue management creates the result. You can only make progress if you are recovering properly. Period. You can think about recovery like your credit card — training like debt, and recovery strategies like payments. Every time you work out, you are putting a charge on that card and going into fatigue debt. But, every time you properly utilize a recovery strategy you are making payments on that debt and working your way back into the positive. In this case, coming back to your next workout maybe 95%, instead of 70%. But, if you just keep putting charges on your card and then eat like crap, sleep like crap, and never make any payments; you’re going to be continuing to build a deeper and deeper debt of fatigue that is going to take longer and longer to get out of. All the while not making any progress or gains. You can only make progress based on what you can recover from because it is actually in the recovery process where you really are making your gains. People don’t build muscle or strength in the gym, the gym is the place where you create the stimulus to build muscle or strength. But outside of the gym your habits with your sleep and diet determine how well, or how poorly you are going to adapt to that stimulus. In an extreme example, let’s say you did a squat workout today and then didn’t eat anything for the next three days. How much muscle do you think that is going to net you? Zero! Why? Because you didn’t provide your body with the proper fuel to recover and build lean muscle mass with. Again, overload creates the stimulus and fatigue management creates the net result. Whether or not you make any progress at all depends on how well you are recovering. Fatigue also cannot be looked at in a general sense. One may say they are fatigued, but the root causes of fatigue are dependent upon many factors including their diet, the type of training they are doing, their current metabolic state and their genetics. Although “over-training” and “fatigue” kind of just get lumped into the same category by most people and gets a sticker slapped on it that says “increased cortisol, blah blah blah”. These sources of fatigue actually have completely different components to them and should be addressed accordingly. For example, volume related over-training has been shown to increase cortisol and decrease resting luteinizing hormone and total and free testosterone concentrations. However, intensity related over-training does not appear to alter resting concentrations of testosterone, free testosterone, cortisol, or growth hormone. Apples and oranges here. Let’s have a brief look at some of the major contributors to fatigue that are the most relevant to hockey players. Phosphocreatine (PCr) is first in line for energy substrate use in anaerobic conditions. It is first in line for energy substrate use both on the ice and in the gym. PCr intramuscular storage plays a critical role in the performance of hockey athletes and although we create our own natural creatine every day (~1g), it is wise to supplement as well to maximize the amount of available creatine you have to delay fatigue and increase force output. • Ensure there is no pre-mature exhaustion of PCr prior to strength training or games. Meaning, no conditioning sessions prior to games or strength training. Glycogen is the stored form of energy in the muscle and liver cells coming from carbohydrates in the diet. Carbohydrates are the most important energy substrates to be around in a hockey player’s diet especially before, during and after games and workouts. Although PCr turns on first, it does not last very long. Whereas an adequate glycogen / glucose flow in the body can keep you performing optimally the entire duration of the game — but when levels are low, performance dramatically suffers. We have known this in the scientific literature for a long time, carbohydrates improve sports performance. This is why the meal plans in our Hockey training programs differ from training to non-training days and have a calculated amount of carbohydrates coming in the pre / during / post-workout area. We need to drive performance to its highest levels and carbohydrates are both the preferred fuel source for the muscular system and the nervous system. Delaying both local (muscular) and systemic (nervous system) fatigue. Strategies to offset this major contributor to fatigue on the ice include proper meal plan design and peri-workout/game supplementation strategies. Hydrogen ions and other acidic by-products are a result of fatiguing during anaerobic work and although most people believe that lactic acid is responsible for fatigue in all type of exercise, it is a complete myth at this point and has been long dead within the literature. Take for example marathon runners, they have near resting levels of lactic acid levels at the end of a race, despite their fatigue. Their fatigue is much more as a result of inadequate energy supply as opposed to a rise in blood lactate. Hockey has no fatigue-producing lactic acid either — it was a “guilty by associated” theory back in the day until it was meticulously disproven. Although — the pH level of our muscle cells does become more acidic during fatigue. Strategies to delay the inevitable here include supplementation with creatine monohydrate and beta-alanine which have both been shown to act as a buffer and delay the onset of by-product/hydrogen ion accumulation. Additionally, improvements in conditioning levels improve the rate at which you can delay this fatiguing process. Exercise in excessive heat increases carbohydrate utilization and can speed up glycogen depletion. It has been hypothesized throughout sports science that increased muscle temperatures impair both muscle function and muscle metabolism. Exercising in temperatures 11 – 21 degrees Celsius show greatest performance benefits and exercising below 4, or above 31 creates the quickest time to fatigue. Strategies to offset this are straight forward, train in a suitable environment. Training in the boiling hot weather or freezing cold does not “toughen you up”. It’s a poor strategy for improving performance and detracts from the rate of progress you could be making otherwise. Strategies to help offset this include adequate sleep, recovery in between physical bouts and a liquid carb/electrolyte drink during exercise. Last fatigue source I am going to briefly discuss is the nervous system. Undoubtedly the nervous system(s) plays a major role in sport performance and training progress and with repeated exposure to both without proper rest and recovery, the nervous systems can become fatigued. Ultimately, this leads to low motivation, low energy, reduced recruitment of high threshold muscle fibers, decreased strength, as well as lowered mental drive and attention span. Strategies to prevent this include proper meal plan design, adequate sleep, decreased training volume during the season, timed deloads in between training phases and mindful periodization when training high volume with high %1RM loads. Now that we know some of the sources that go into causing fatigue and their implications on the body, let’s talk about some of the most effective ways to manage fatigue. Sleep gets the number one slot here because sleep is the king of fatigue management, even people who don’t train or play sports can tell you that. No matter how many massages, Epsom salt baths, supplements, food or anything you do cannot make up for a bad night’s sleep. No matter what, you’re going to be tired and you’re not going to have fully recovered from your previous training session. There’s no way around that, and no, taking more caffeine doesn’t override it either. Caffeine isn’t a bad thing, but if you need large amounts of it to function every day you could probably do with some sleep quality enhancement. Sleep is especially important because while you’re sleeping nearly all systems are anabolic. Bones, muscles and the endocrine system are all synthesizing materials and adapting to the overload you placed on it. Muscles of course are creating new contractile proteins, bones are adding calcium/phosphorus and the endocrine system is increasing levels of testosterone, IGF-1, growth hormone and thyroid hormones. All extremely important factors to progress in the gym and on the ice. Not to mention sleep is also a regulator of your respiratory efficiency ratio, which determines how much of your Basal Metabolic Rate (amount of calories you burn per day to sustain healthy function) you are burning at rest is coming from either lean muscle tissue or fatty tissue. One last thing that is important to note here is that there is no optimal amount of sleep, there is only an optimal amount of sleep for YOU. Some people only need 7hrs, some people need up to 10hrs per night. The idea is to get enough to where you feel best. If you can function throughout the day at a high level without massive doses of caffeine, then you’re probably good. But if you are chronically under rested it should be your #1 priority before ANYTHING else. A good rule I like to use is that you should never wake up with an alarm. This gets people out of the idea of thinking they have to sleep 8 or 9hrs. If 7hrs is good for you and you’re not being interrupted by an alarm doing this, by all means go for it. It should also be noted here that “more is better” isn’t true. You will not be gaining any advantage sleeping 12hrs a night if your body doesn’t need to for adequate recovery. Simply waking up without an alarm is ensuring you are doing it right. I say calories because calories in and of themselves are more important than the macronutrients they are being derived from. 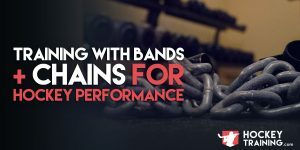 The total greater energy load you are getting in is more important than where they are coming from, provided you aren’t completely screwing it up and running a dumb meal plan that makes no sense for performance. Although with calories, the “more is better” strategy is true but only up to a point. 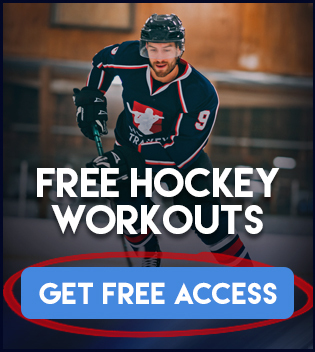 You want to be taking in as many calories as possible, but it’s no excuse to start gaining body fat, that’s completely counterproductive to hockey performance. It doesn’t so much matter over a long term period such as 24 hours because glycogen replenishment is going to occur anyways over that time period. Meaning, if you work out or have a game today, and you don’t have any physical activity again on this same day then it’s no big deal. Your energy will be back and good to go tomorrow. But in a short period between physical activities, such as 4-8hrs, speed of glycogen replenishment is key to performing 100% if you’re working out again or playing two games in the same day. Proper timing strategies must be in place in these scenarios for continual peak performance. This is why carbohydrates come first because carbohydrate timing on these days is crucial. To put it short, calories need to be #1 on your nutritional priorities list for reasons I have gone over in several blogs now including fat loss, muscle building and optimal performance. You can’t escape it, it is your most powerful tool for permanent body composition change and without it the other nutritional strategies effectiveness becomes much less pronounced if even existent at all. Calories need to be there for fatigue management because you need to not only eat back what you lost during training, but also eat enough in order to give your body the raw materials to construct new muscle mass with. Muscle and recovery cannot be created through thin air, it needs calories. Manual therapy such as massage, fascia stretch therapy, active release, etc. — all have their place in the recovery spectrum, but fall distantly below sleep and calories in terms of long-term effectiveness. This isn’t saying they aren’t worth doing, that’s not what I am saying at all. Each of these practices (and many more I didn’t mention) have proven benefits to them on increasing rate of recovery among many other things health related. But in the discussion of recovery alone, if you’re out getting massages but your sleep and diet are off, you’re not doing yourself any favors. You would be much better off putting that money towards correcting your sleep and hopping on a good meal plan made by a specialist. Those two will take you a long ways before you will ever need manual therapy work; that is unless you have issues outside of basic muscle and nervous system recovery that require manual therapy. For the best recovery, stick to the above strategies and they will take you anywhere you want to go with your physique and hockey performance provided you do them correctly and remember, sleep and calories have to be in place to recover and adapt from the gym and if one of those qualities are missing you are trying to be an athlete with one arm tied behind his back. -> Sign up for our Next Level Conditioning program to ensure you are conditioning to play hockey at elite levels. Keep an eye on the blog for an upcoming related article on “How not to recover” where I discuss why low intensity cardio, anti-inflammatory’s, stretching and saunas may not be the best recovery strategies for hockey players looking to better themselves. Hi, I’m a female hockey player and I’m struggling with energy lately. 1. My legs are heavy before starting the game (I never train my legs the day before a game neither am I doing conditioning). My legs are aching and I have nothing in them. 2. Or I have full energy but it last half of the game. The other half I’m struggling. I really need help to understand what is going on. My calories are around 500 under my maintenance level so im trying to eat 1800 cal per day (I train 5 – 6 days a week, I play 1-2 times a week, I’m 5’3 and weight 196 pounds. I have a 5 days a week desk job). I’m interested in the next level conditioning but I don’t have equipment like sled and I only have a treadmill and battle ropes for cardio. Is there any option to modify the workouts if we don’t have the equipment available ? Hi Annabelle, yes the Next Level Conditioning program includes a full “No Equipment Needed” section! I highly recommend you give it a try, and that should help your conditioning levels. Once you sign up I would also message Coach Garner in the member’s area to check on the 500 calories under maintenance, as I believe he would probably want to increase that slightly.